Carlos “Carlito” Fuente Jr. president of Tabacalera A. Fuente y Compania, surveys his family’s tobacco fields with a watchful and knowledgeable eye, His skill is one honed from 43 years spent as the grandson of family patriarch, Arturo Fuente. grown to earn its place in a Fuente cigar. “In order to really understand this business, one needs to touch the tobacco, walk around and sense the vibrations.” Fuente says, his voice is filled with conviction and sincerity. 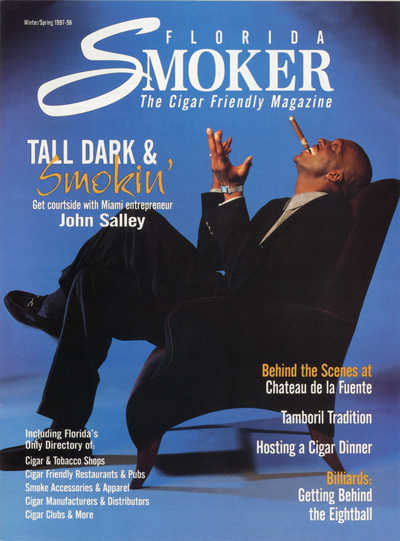 “There is a culture and history that comes with cigars.” He pauses for a moment “It is my life,” he continues, not minimizing the claim.